With all the accessories out there for your Wrangler JK under the hood sometimes gets neglected. Even a small upgrade like a Power Steering Reservoir Cap Cover from New Century Manufacturing can drastically change the look under the hood of your Jeep. 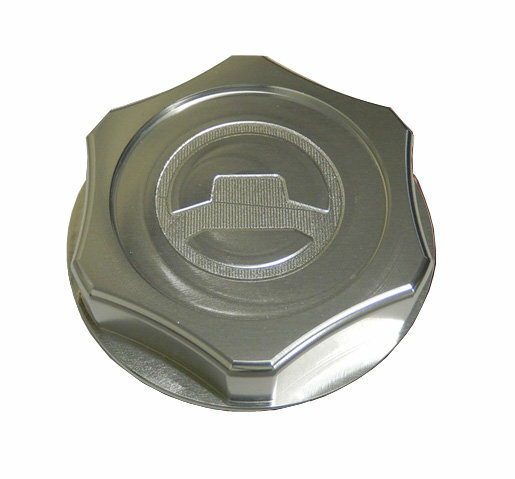 These power steering cap covers go over your existing factory cap adding a fresh look to your Jeep. Available in Red, Blue or Silver. Billet Aluminum: These cap covers are CNC machined out solid billet aluminum to give you a strong piece with a precise fit. Easy Installation: Fits directly on your existing factory cap using screws making installation fast and easy.